Front Door Fabrics and Interiors – Amy Howard Paint Sale! 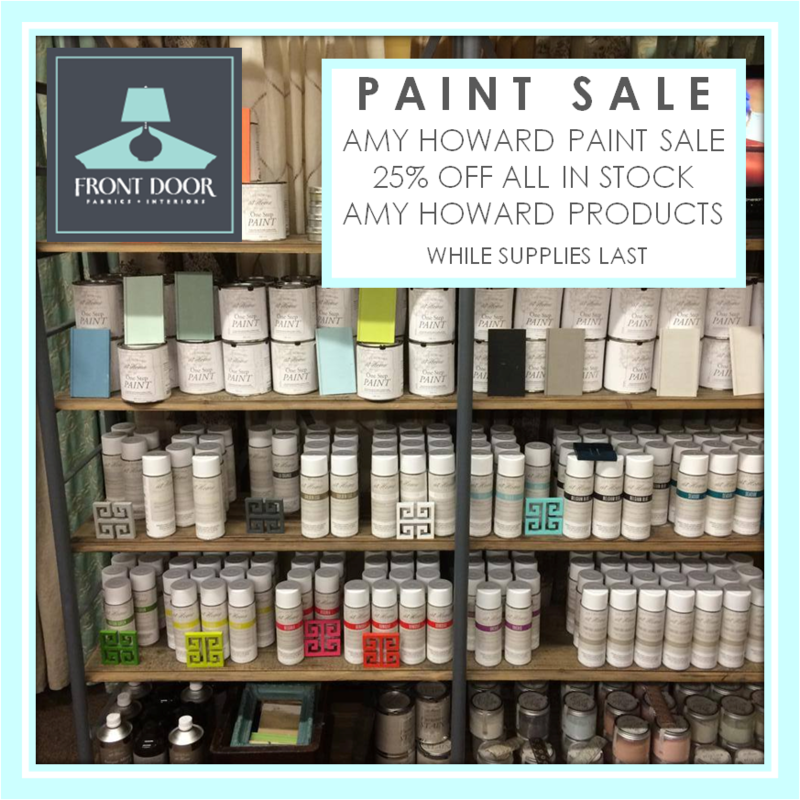 All of our Amy Howard paint products left in stock are now reduced to 25% off of the original pricing. We have lacquered spray paints and primers, One Step paint, and Toscana powder paints still in our inventory so stop by soon and don’t miss out on this incredible deal- valid only while supplies last and perfect for a weekend project!